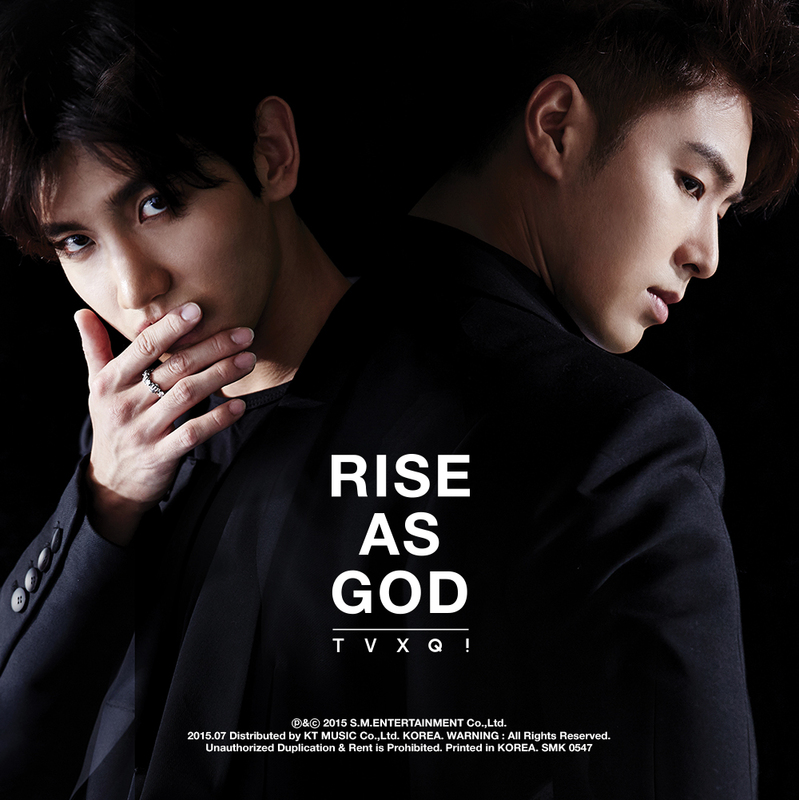 Billboard Japan announced that Tohoshinki single Jealous was No.1 in their top single weekly sales chart for 11/19~25. The single (officially released on 11/21) sold 76,442 copies in the first three days, adding about 12,000 more copies by 11/25 to make up a total of 88,955 copies. 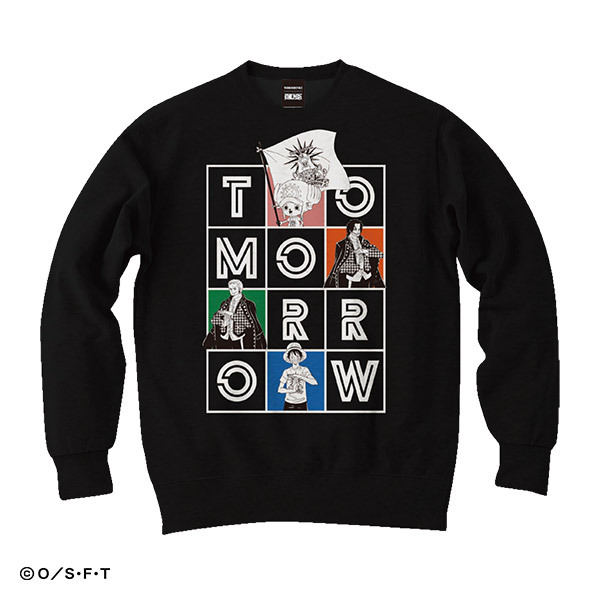 ※it will be appear when sales start. [INFO] 181125 Oricon Daily Single Ranking (for 181124): No.2 #東方神起 – #Jealous with 4,915 Copies! 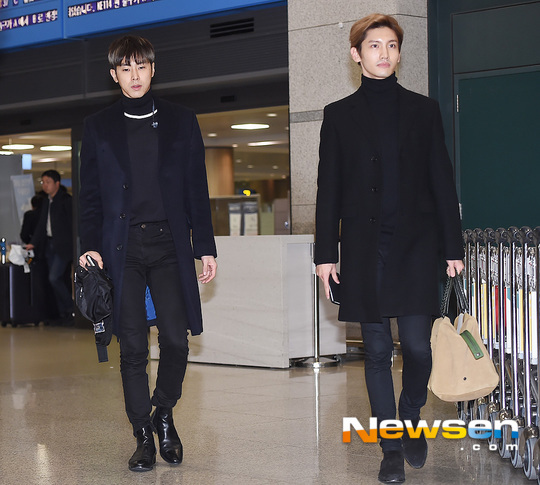 It seems like Yunho has a new hair colour, too! 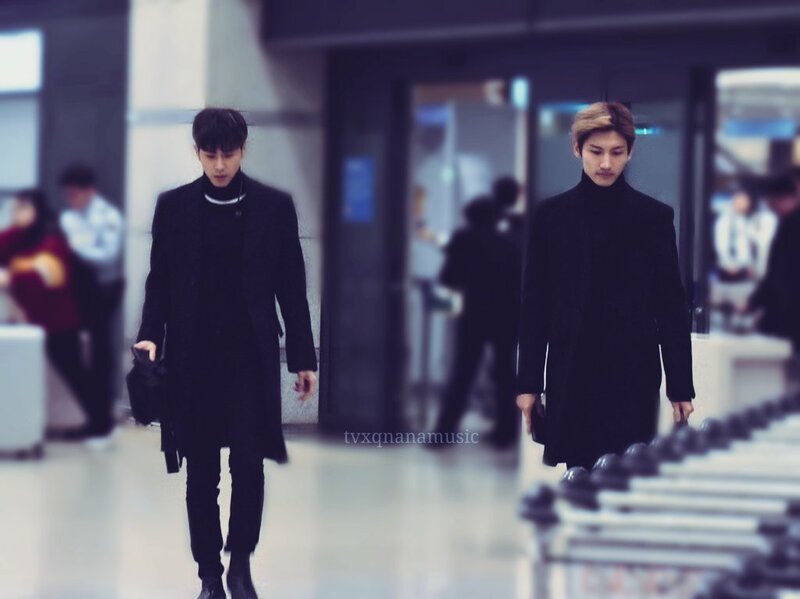 apparently, their flight arrival was delayed [cr: @YOONHOYA_COM], we hope they have a good rest. 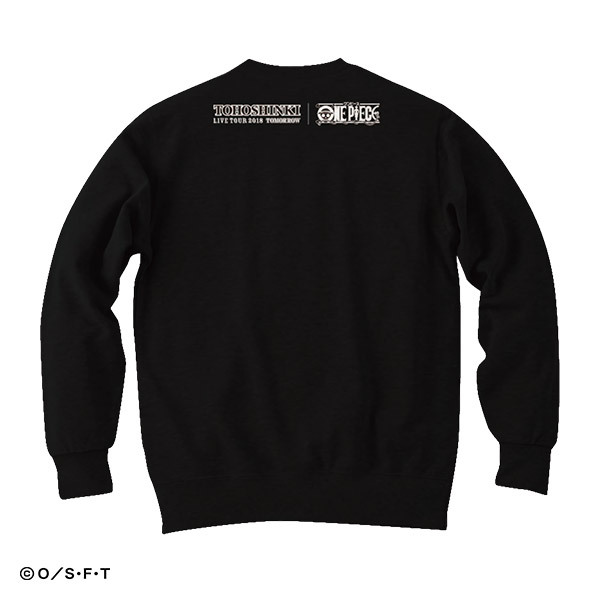 [PIC] 181125 Bigeast Staff Report: Tohoshinki on TBS’s “CDTV” Artist File Second Week Feature! 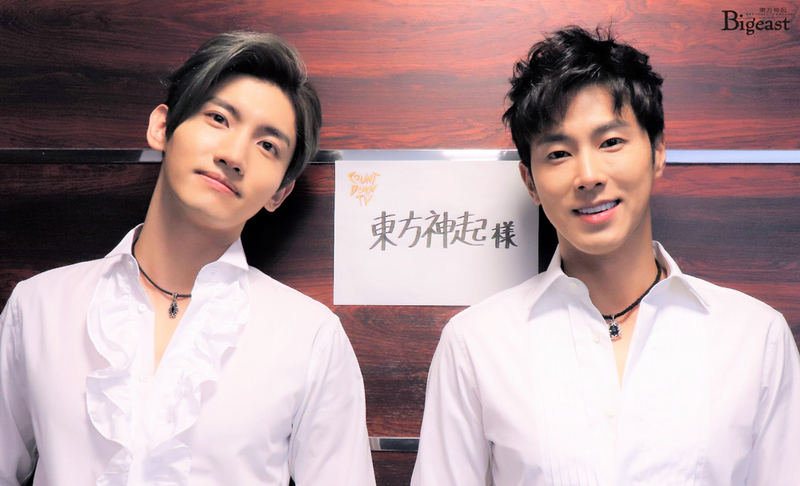 Tohoshinki appeared on TBS’s “CDTV” in the “Artist File”. On the second part broadcast on 181124, they visited Tokyo Skytree tower! 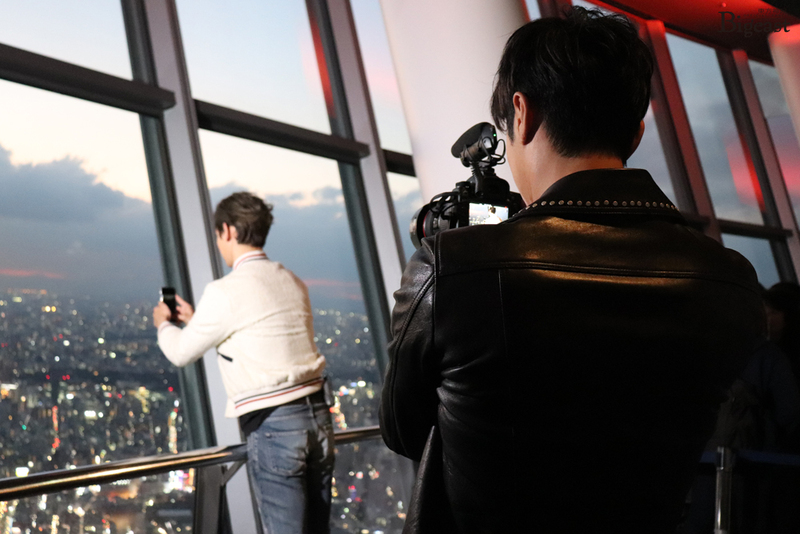 Also about Yunho who borrowed the camera from the staff then decided to film Changmin who who was taking photos of the nice view on mobile. Tohoshinki appeared on TBS’s “CDTV” in the “Artist File” corner last week, and the second part was broadcast on 11/24 (Sat) at 24:58~ (i.e. 11/25). They visited ‘places of memories’ last week and this week they went to Tokyo Skytree tower! 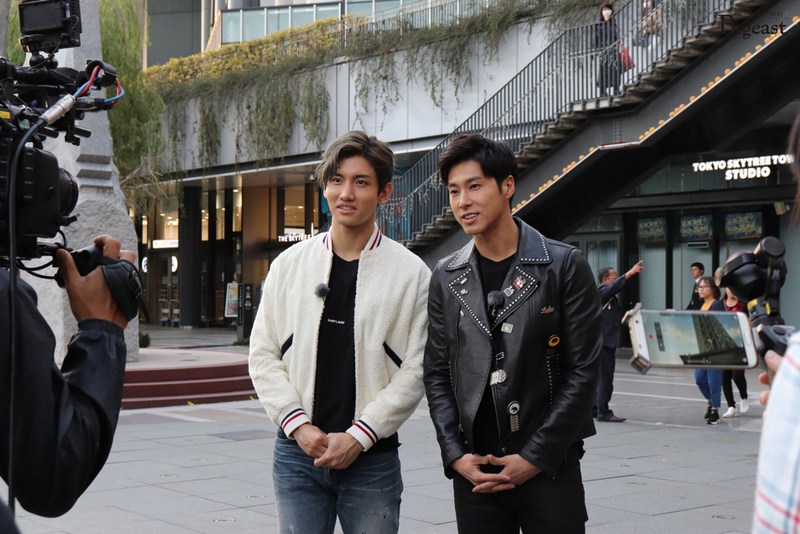 Tohoshinki appeared on TBS’s “CDTV” in the “Artist File” corner last week, and the second part was broadcast on 11/24 (Sat) at 24:58~ (i.e. 11/25). They visited ‘places of memories’ last week and this week they went to Tokyo Skytree tower where they went to different levels and took pictures of the nice view! 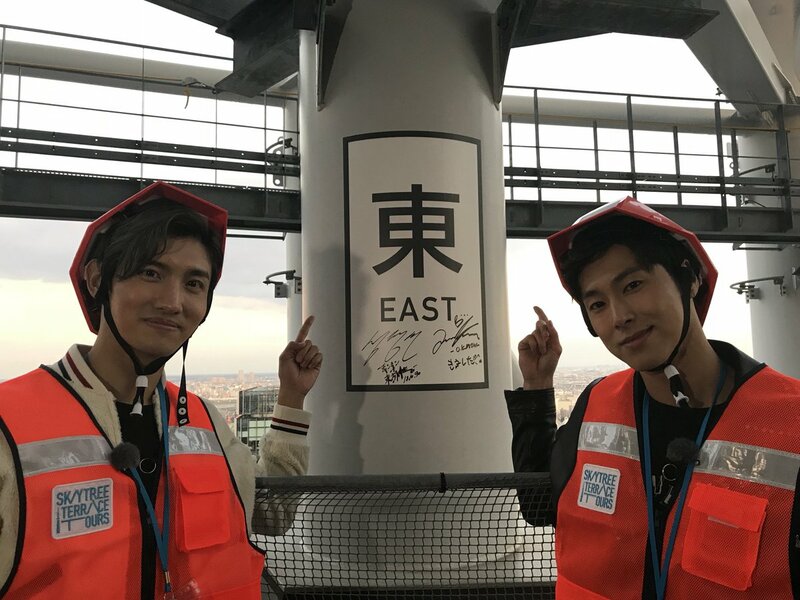 There Yunho found the east (東) pillar and commented it is the same kanji for Tohoshinki (東方神起)’s Tou東 then the skytree staff suggested they sign on it *_*! 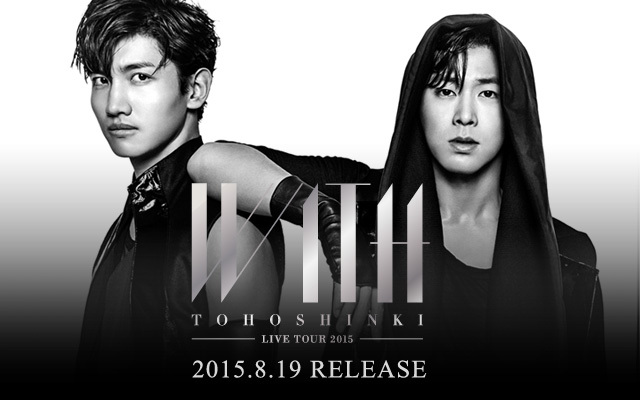 They also continued their interview, so check out some translations of it!